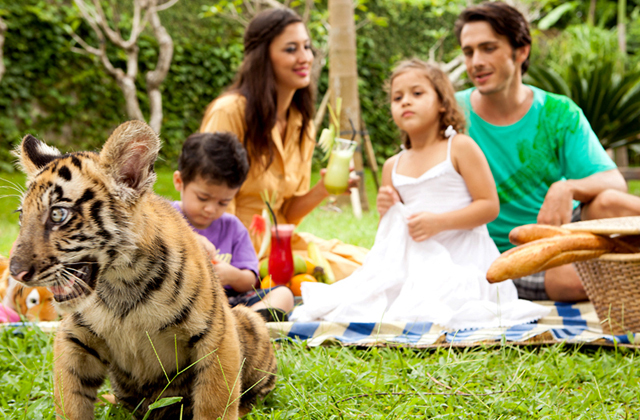 At Bali Zoo, you can come into contact with a great variety of animals. The zoo is home to Jackie, the zoo's popular orangutan, as well as 350 animals from across 75 tropical varieties. It also offers additional experiences for feedings the animals, riding an elephant (additional charges apply), taking a photo of yourself with a crocodile, tiger, and other animals. This is a must-see spot for animal-lovers! The Bali Zoo website features a profile of the animals, so we recommend checking them out before your visit!